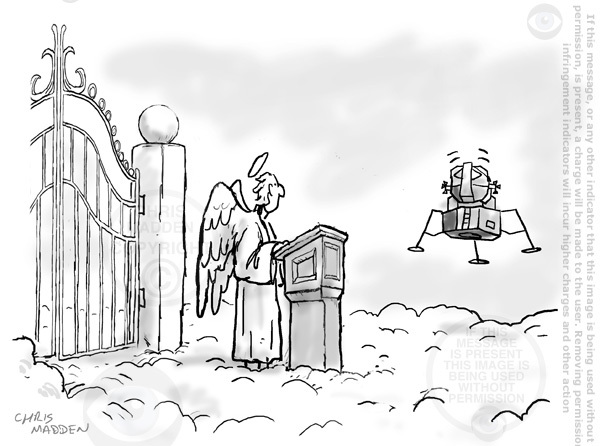 I drew a version of this cartoon in pen and ink back in the late 1980s or early 1990s. This digital version was done in the late 1990s. 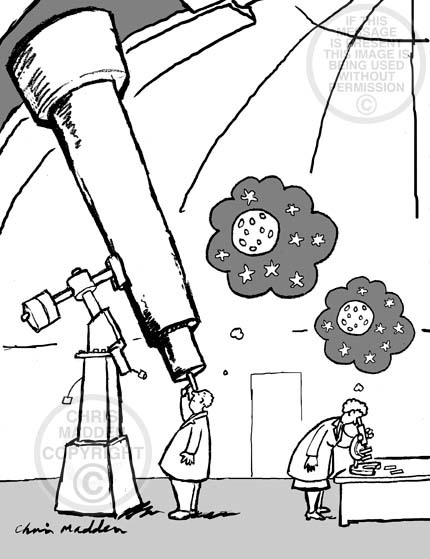 I was reminded of this cartoon while watching a recent episode of the science fiction series Dr Who, called Kill the Moon, in which the moon was a giant egg that hatched into a creature that looked a bit like a cosmic dragon. There’s obviously nothing new under the sun (or moon). 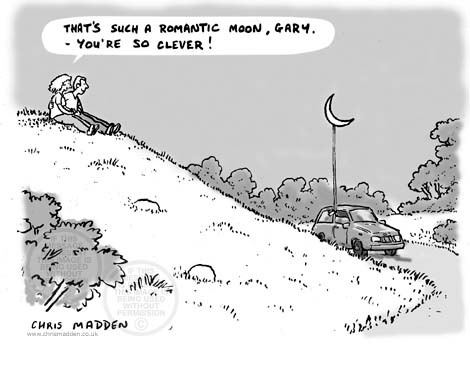 This image is from my selection of cartoons about the moon, all available on this site. 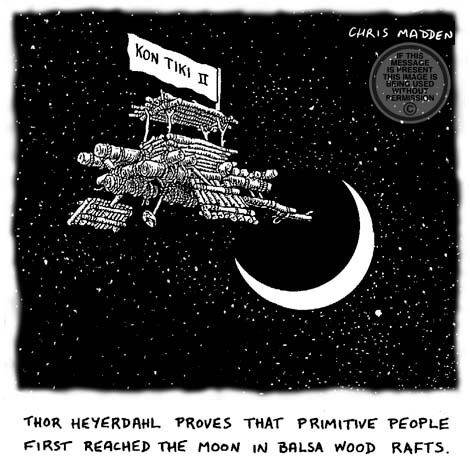 This illustration is a variation of a cartoon of mine showing the explorer Thor Heyerdahl travelling to the moon on a balsa wood raft. 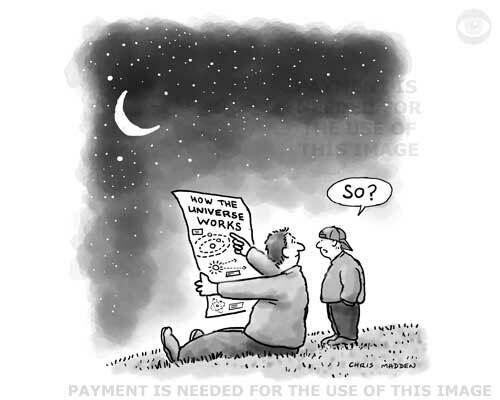 Some of the cartoons deal with the moon scientifically, while others deal with it mythologically or spiritually (or pseudospiritually). 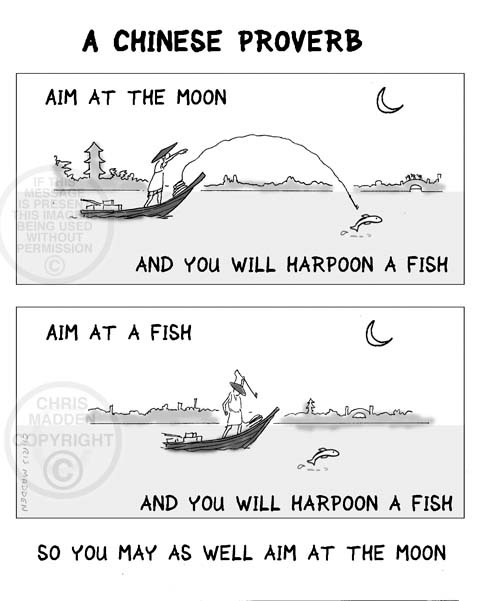 This aspirational cartoon is titled “A Chinese Proverb” although I actually thought it up myself. A cartoon about anthropomorphism, surrealism. 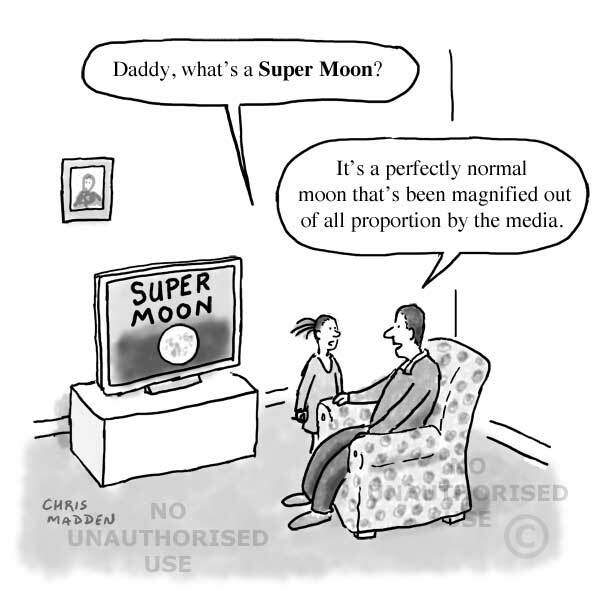 Moon cartoons. A monkey reaching for the moon – or is it a banana? A monkey reaching for the moon, or is it a banana? 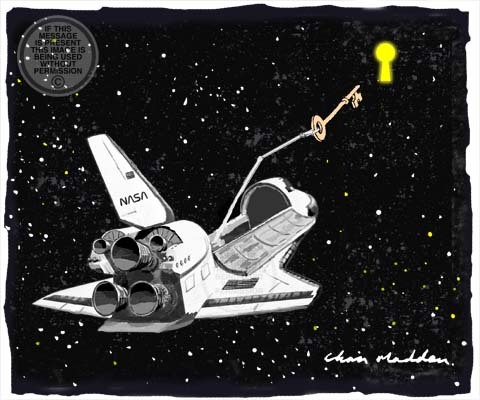 The illustration is about reaching for things that are out of reach (as in reach for the stars). Jigsaw puzzle cartoon. Jigsaw puzzle of the night sky. How difficult is that? A man doing a jigsaw puzzle of the starry night sky. So far he’s only managed to put together the two pieces that make up the image of the moon. The cartoon may be interpreted as a warning about not judging tasks by how easy they seem to be at the beginning. 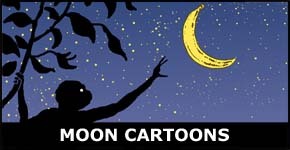 Moon cartoons. Moonbeams and moon beans. Moonbeams and moon beans. 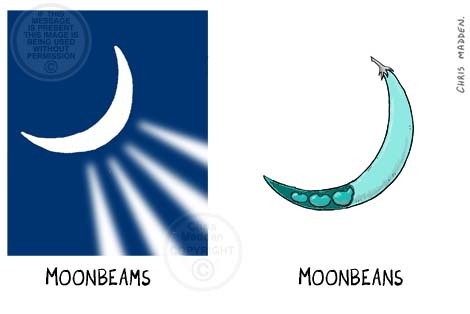 Moon beans are (fictitious) beans in a pod shaped like the crescent moon.